Guys Santa is coming sooo soon and I haven't done any Christmas nails!! Ugh! This is my first go at the Holidays and I wanted to start simple. 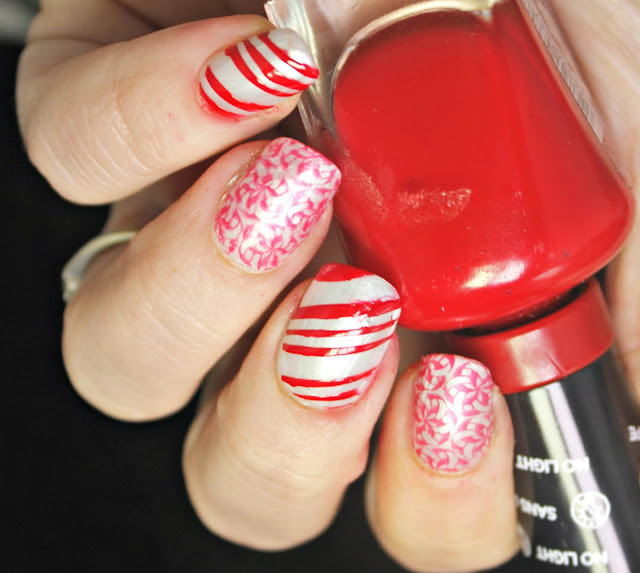 Candy canes are my absolute favorite Christmas treat, so I wanted to do a little treat on my nails. 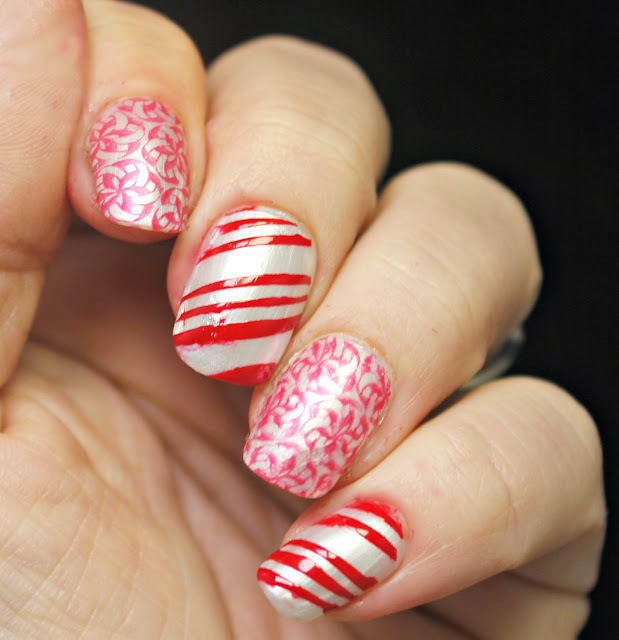 I used a stamping plate and striping tape to create this super simple look. 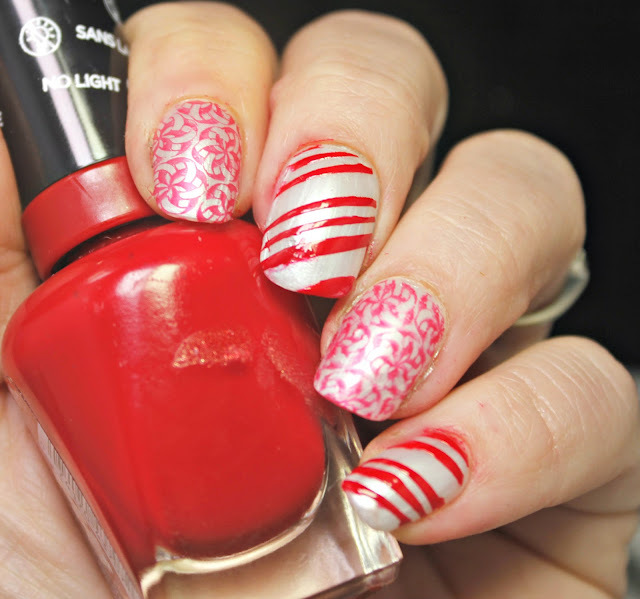 If you are looking for a quick, easy look to do for the holidays, this may be it!